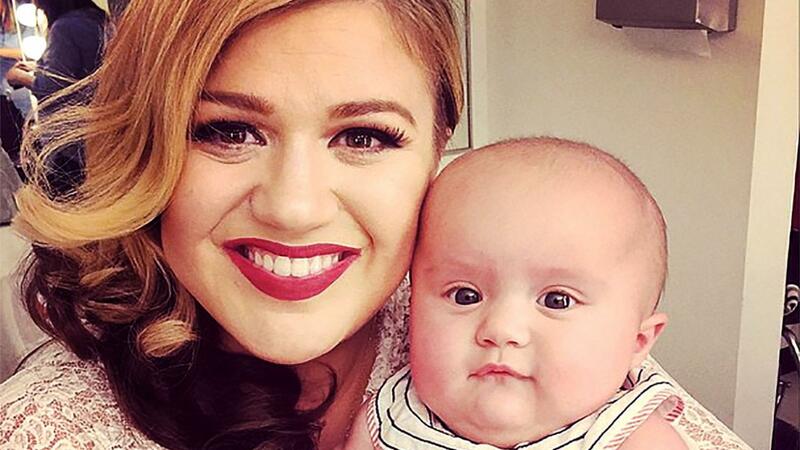 Kelly Clarkson shares first photos of Son Remy: See the adorable pics! Kelly Clarkson took to Twitter on Saturday to share the first photos of her son Remington, whom she gave birth to on April 12. "Meet Remy, our newest edition to the family! #charmfordays #watchoutladies," Clarkson wrote. Clearly, the 33-year-old singer is loving being a mother to both Remy and her 1-year-old daughter, River. Clarkson is also a stepmom to husband Brandon Blackstock's two children, Savannah and Seth, from a previous marriage. Last week, she sweetly gushed about her family life. "I have the coolest kids, most helpful/loving family, & it would b impossible 4me 2b happier," she tweeted. "I'm filled w/love. I want everyone 2 have this!" I have the coolest kids, most helpful/loving family, & it would b impossible 4me 2b happier. I'm filled w/love. I want everyone 2 have this! Clarkson has been open about her complicated relationship with her own father in the past, who she sings about in her emotional hit, "Piece by Piece." However, she couldn't be happier with Blackstock, and his relationship with their children. "Watching my husband love on his daughter all the time, you know, go to her events and just be there and, like, be present is, like, hard to watch but beautiful to watch," Clarksontold Ryan Seacrest during a radio interview in February, fighting back tears. "But it's awesome because I know that my kids are going to have that." Watch the video below for more on baby Remy! Lea Michele Shows Off Her Incredible Revenge Bod at Coachella -- See Her Hot Bikini Pic! Coachella Instagram Round-Up: From Kylie Jenner's Bikinis to Taylor Swift's Squad -- See All the Pics!